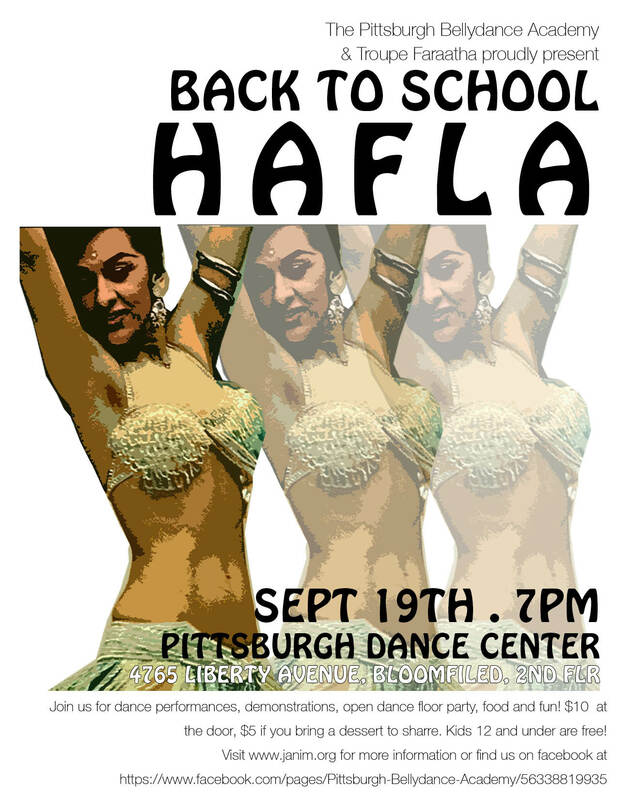 Join Troupe Faraatha of the Pittsburgh Bellydance Academy for their first Back To School HAFLA! School is back in session and so is the PGH Bellydance Academy! We will be hosting talented local dancers (teachers and students) for a night of performances. We will have intermission demonstrations and an open dance floor to finish off the night. Would you like to perform? Please contact Jeannine at jeanninestanko@hotmail.com for more information or general questions! Previous PostPrevious So you think you can Bellydance?